The Episode starts with Everyone praying. Jagat gets blessings. Jawahar comes. Hanumant says training isn’t there today, Jagat is going for competition. Jawahar says I know, I will come along. Hanumant agrees. They are leaving. Bijli asks where is Kesari, does she not have to give wishes to her brother. Kesari and Madhavi worry. Zoravar says yes, where did she go. Madhavi says Kesari is in her room, her wishes are always with her brother. Jagat shows the Hanuman idol which Kesari has given him. Hanumant asks did you get the answer. He scolds Bijli. They leave. Bijli thinks of Kesari and Madhavi’s lie. Jagat and everyone is at the competition venue. Mary Kom comes there. Everyone claps for her and welcome her. Kesari speaks about Mary Kom and thinks you are my inspiration. The man announces that the competition begins. Jawahar says you are gone now Jagat. The wrestler Gorilla waits for the challenger. Bijli goes to check the stable. She gets Kesari’s uniform and shows to Zoravar. She tells her doubt that Kesari is Kesari Nandan. The competition goes on. Jagat watches the match. Gorilla defeats everyone. Kesari sees Gorilla’s moves. Bhura talks to Basanti. Zoravar and Kala confront him and ask about Kesari and Kesari Nandan. Zoravar slaps Bhura and asks him to admit the truth. Kala scares Bhura and hits him. Gorilla beats more opponents. Kesari calls him a cheater. She scolds him. He pushes her down and shouts. Gorilla challenges the wrestlers. Hanumant says Jagat will fight you. 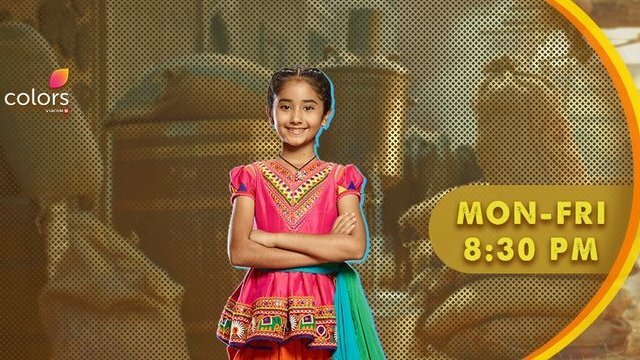 The post Kesari Nandan 27th February 2019 Written Episode Update: Zoravar gets close to learn Kesari’s truth appeared first on Telly Updates.